So, what IS Family-Based Treatment, and could it help your family? Family-Based Treatment, or FBT, is a type of psychological treatment to treat eating disorders. It is offered by therapists who are trained in the method and following the FBT treatment manuals. FBT was originally designed for treating anorexia nervosa, is also manualized for bulimia nervosa. Most of the research for FBT has been done with adolescents. Where can I find a trained FBT treatment provider? While many providers advertise that they offer FBT, not all are equally trained or skilled. Some have extensive training and are certified. Others have attended workshops. Some are self-taught. And, unfortunately, some use the term FBT loosely to mean treatment that involves parents but does not follow much or any of the manualized method. The FBT that has been studied to be helpful and safe is the first category above. This is not to say that treatment that is not following the manual or done by well-trained and supervised providers will be unhelpful or harmful, but it is important not to judge FBT, or a family’s attempts to help a patient without full FBT support, without considering the difference. Finding FBT treatment depends on your country, region, and healthcare funding. Is FBT only for teenagers? Most of the research on FBT’s effectiveness has been done with adolescents, but clinicians work with families of younger children and adults using FBT methods as well. What are the phases of FBT? Is FBT only for anorexia nervosa? FBT has been manualized to be offered to families supporting a loved one with anorexia nervosa and with bulimia nervosa. Clinicians sometimes adapt FBT principles and methods to support patients with other eating disorders as well. There is not as much research on other EDs, so what is learned about one disorder is often used to help with less studied ones, just as other treatments and medicines are used “off label” until studies can be done. Is FBT the same thing as Maudsley? Family-Based Treatment (FBT), which is the manualized therapy approach designed for adolescents with three phases. This has often been called, against the initial wishes of the developers and against the preferences of those associated with Maudsley Hospital, “The Maudsley Approach” or “Maudsley Method” or “Maudsley.” As time has gone on, the term FBT has replaced those terms. The New Maudsley Collaborative Care Model, developed by Dr. Janet Treasure at the Maudsley Hospital. The New Maudsley Approach employs animal analogies, motivational interviewing, and practical skills to help clinicians and families of adult patients. Can our family do FBT ourselves, without a therapist? FBT is a manualized 3-phase treatment that therapists use to help families get a patient well together. While a family can employ some of the principles or underlying ideas of FBT on their own, that is not the same as getting FBT treatment. FBT is more than parents re-feeding their loved one. Are there books about FBT written for parents? What are some reliable websites or articles about FBT? Once considered controversial because it goes against what was once believed about parents and about the role of nutrition, FBT has had a number of myths attached to its reputation. We’ve gathered some of the more common ones. *for a longer explanation of “Maudsley Myths,” hear two of the developers of FBT in a podcast interview with our Executive Director in 2017. FBT reverses the restricted eating and binging and purging of an eating disorder, just as would be done in a hospital or residential treatment. There is no force involved. FBT is done with clinicians trained in screening for abuse and neglect and in a range of treatments and there are clear boundaries on when FBT would be implemented. FBT is a treatment approach that includes parents and siblings and is for the patient’s benefit. The New Maudsley Approach is a skills-based program of self-help tools designed for families of older eating disorder patients created by a leading eating disorder researcher at The Maudsley Hospital. It is not related to FBT. FBT is a therapeutic approach to mental illness treatment. While food is considered “medicine” in this approach it is not the treatment. FBT clinicians take an “agnostic” view to causation. Treatment does not address cause. FBT helps families work together toward the goal of supporting the patient. The later stages of FBT involve normalizing relationships and age appropriate roles. Patients often report after recovery that it was the eating disorder that was hurting relationships, and their FBT clinical care and parents’ hard work to help them recover that healed their relationships. FBT asks both the clinicians and the parents to do hard work finding solutions that fit the family and the person with the eating disorder. One of the challenges is that there are no prescriptions or formulas. FBT draws from treatment innovations and theories from the earliest days of psychiatry and psychology as well as the most recent insights of neurobiology and best practices. The originators and researchers associated with FBT come from South Africa, the UK, the Czech Republic, Australia, and the United States, among others. FBT is offered in a growing number of countries and is considered the first line of treatment for adolescents in a growing number of national health systems and clinical settings. There is nothing particularly American about FBT except in that American parents are obliged to research and pursue their treatment of choice, which has led to more public discussion about the options, including FBT. I understand the "what" and the "why" but I really need help with the "how"
The parent community of F.E.A.S.T. has over a decade of questions answered and creative solutions offered. Visit our Hall of Fame and our online forums. There are coaches and therapists who operate remotely through phone and Skype sessions. Some clinics offer intensive multi-day sessions with the family to create a plan. There are conferences and workshops for parents. FBT requires a fully-engaged parent or parents. It can often take months of hard, constant work. There is much to study, skills to learn, and it is hard. So, why choose this option? Research suggests FBT offers higher rates of recovery and stronger recoveries than the alternatives for adolescents, and without comparable research into other age groups and other treatments this research has helped point the way to more research and more treatments that draw from FBT’s success. 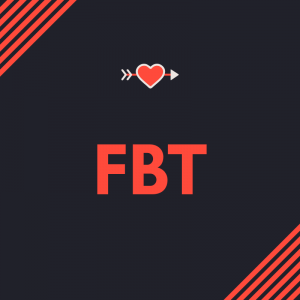 FBT involves many of the factors that we know lead to a better chance of recovery: early intervention, keeping patients at home with their families, and supporting the whole family during the process. Because normal eating and normalizing weight are part of FBT, an essential part of any eating disorder recovery is included. Loss of control eating, purging, and compulsive exercise are also addressed with FBT. Families able to make choices between treatment options benefit from knowing the research behind and the pros and cons of each option. F.E.A.S.T. believes parents make better decisions and are better supports to their unwell children when we are informed and empowered. The research into the use of FBT is some of the strongest data known about eating disorders. It is not the only option and much more research is needed. At this time, however, the strongest research base points to FBT to provide the best chance at recovery for these very dangerous disorders, especially for adolescents. Family-based treatment of eating disorders in adolescents: current insights. Adolesc Health Med Ther. 2017 Jun 1;8:69-79. doi: 10.2147/AHMT.S115775. eCollection 2017. Family therapy for eating disorders in youth: current confusions, advances, and new directions. Curr Opin Psychiatry. 2018 Nov;31(6):431-435. doi: 10.1097/YCO.0000000000000451. Family-based Treatment of Child and Adolescent Eating Disorders. Child Adolesc Psychiatr Clin N Am. 2015 Jul;24(3):617-29. doi: 10.1016/j.chc.2015.02.012. I treat eating disorders: how can I learn more about FBT?